• A removable padded top gives a padded/plain option by simply unscrewing from underneath. 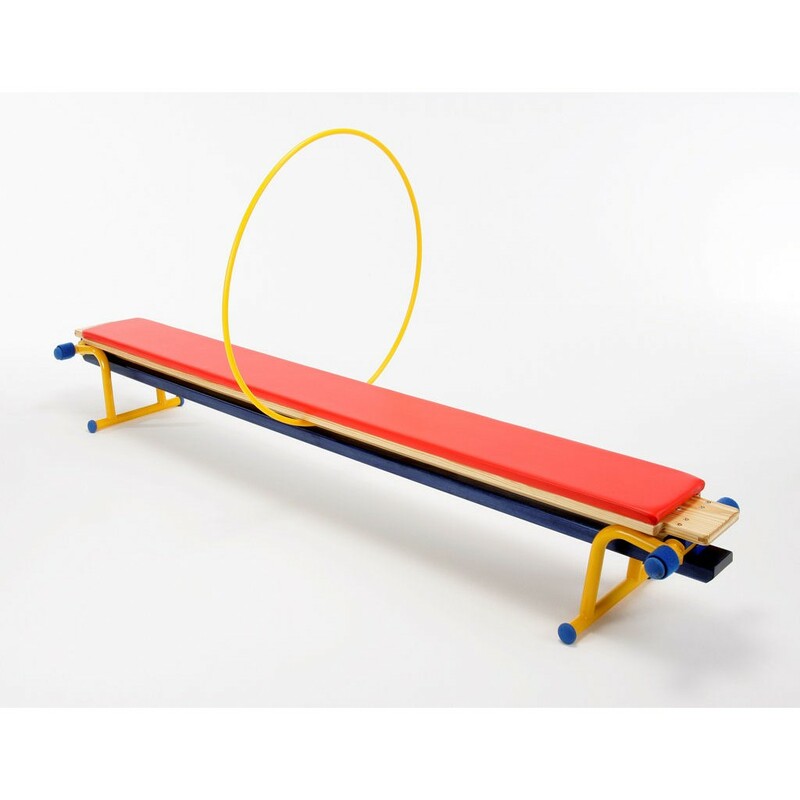 • Gym Time hoops can be located across and along the length of the bench. • The bench has been designed to give a continuous smooth surface either as a bench or balance bean. 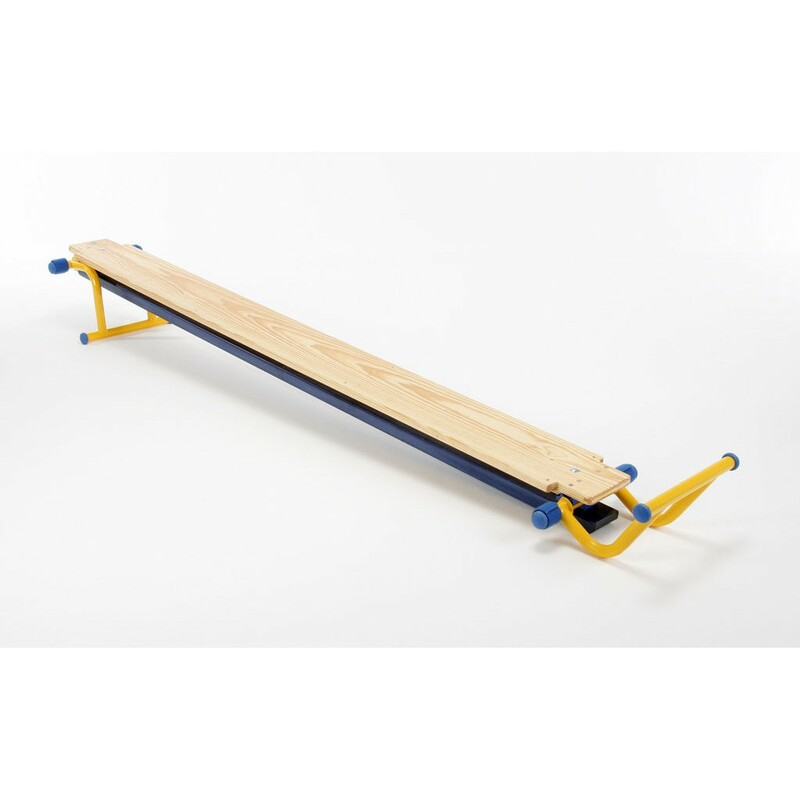 • A 100mm wide balance beam complies with International standards and as a part of the system can be arranged at a variety of heights and inclines. • The wider base of the legs increases stability in use. • A hook and loop fastening system allows secure fixing to trestles and wallbars in an inclined or suspended position. • This fixing system eliminates the risk of the bench slipping when attached to other equipment.